All Canadian Coal-Fired Heaters | The original all Canadian coal-fired heater since 1982. The original all Canadian coal-fired heater since 1982. All Canadian Heaters are automated boilers that burn coal and pelletized bio-fuel for agricultural, industrial, commercial, and residential applications. In the field of alternative fuels, the All Canadian brand has become synonymous with ingenuity and innovation. Over two decades of satisfied customers are testament to the efficiency and dependability of the All Canadian name. 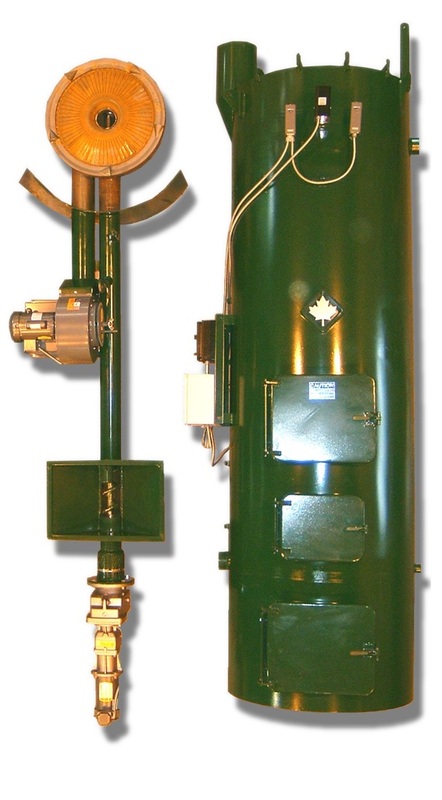 We manufacture five sizes of the All Canadian Coal Heater from 500,000 BTU to 2,300,000 BTU to meet any heating need. The basic design of all the units is the same. Now Accepting Interac Debit, Visa, MasterCard, American Express, and Discover.